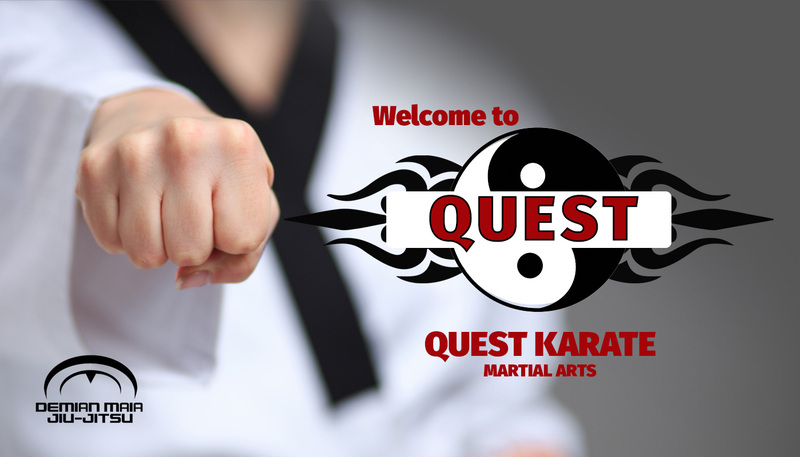 Quest Karate Martial Arts of Long Valley located in Long Valley NJ, 07853. Quest has been part of the Long Valley community for over 20 years. 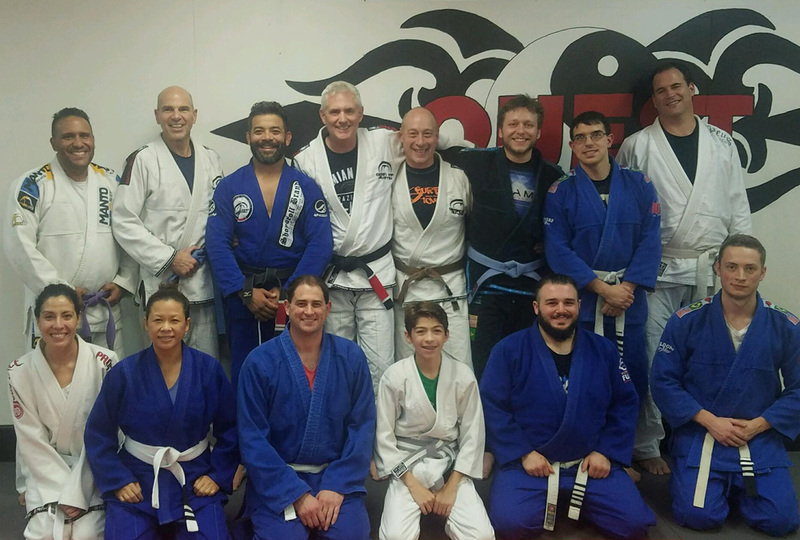 At Quest, we teach disciplines in Isshin-Ryu Karate, Uechi-Ryu Karate, Kobudo/Classical Okinawan Weapons and Demian Maia Jiu-Jitsu. 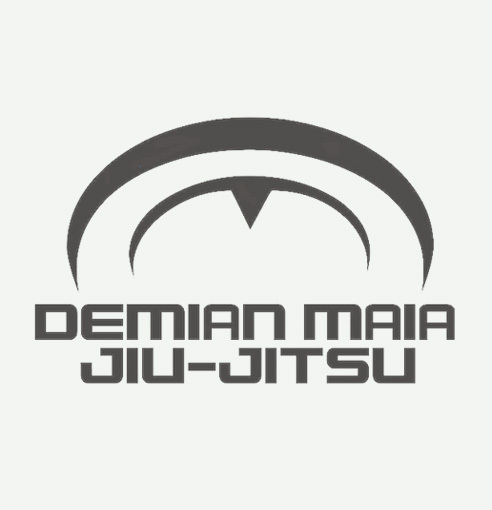 Martial Arts helps instill self-discipline and self-control, it aides in the development of motor skills and promotes cardiovascular exercise. 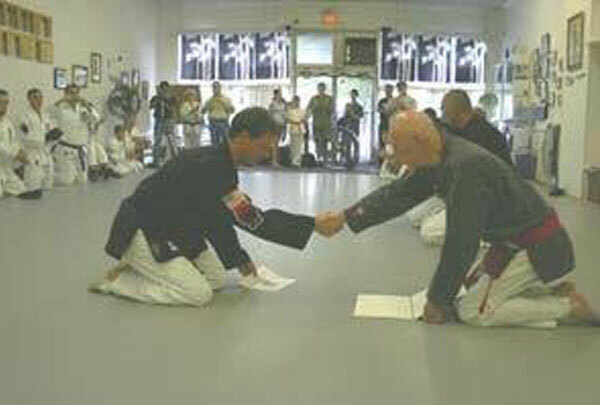 It has been proven that Martial Arts students do better in school and social situations due to the skills taught at Quest. 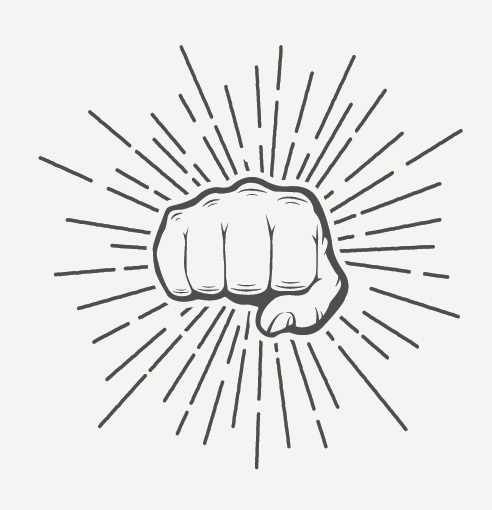 Our students also learn respect which carries over to school, helping improve behavior and even grades! 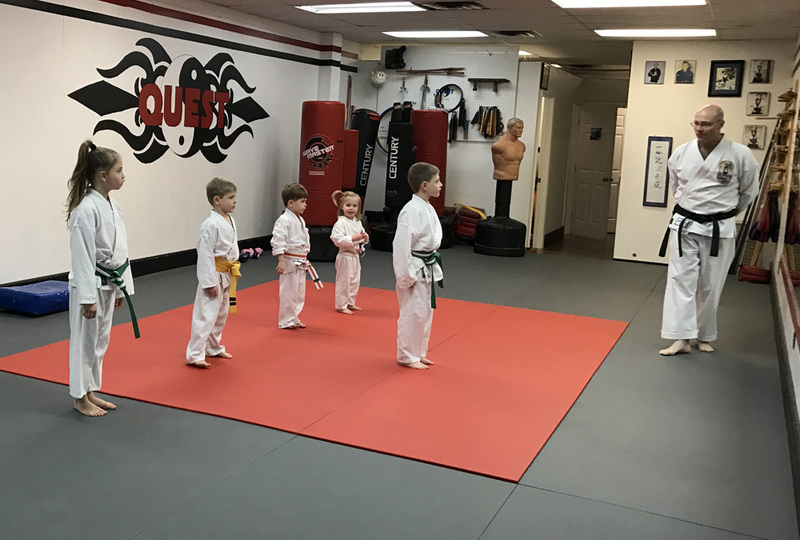 Our classes are designed for students of all ages, starting at age 3 all the way through adults. 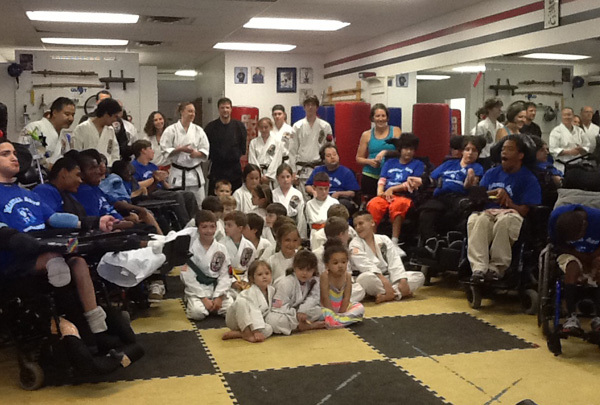 We also offer classes that are dedicated to students with special needs. 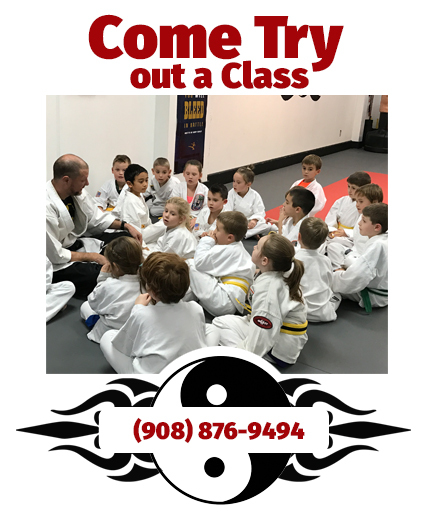 If you believe that you or your child can benefit from better physical fitness, more focus, self-control, and greater goal achievement skills, then please call Quest Karate Martial Arts at 908-876-9494 for a free trial lesson. Matheny and Quest students work together on self defense moves. 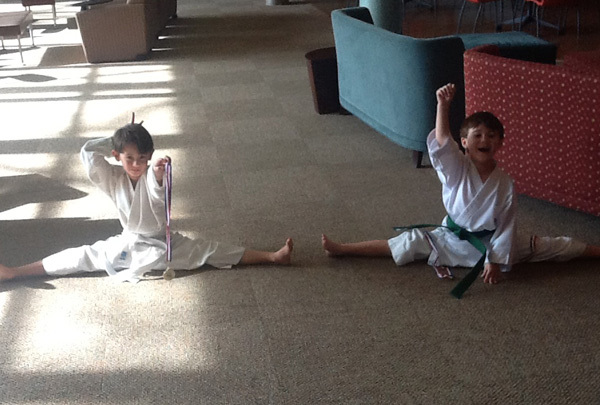 Showing off their flexibility and medals from a local karate tournament competition! At Quest this family takes it to the max with their family member count of 5! 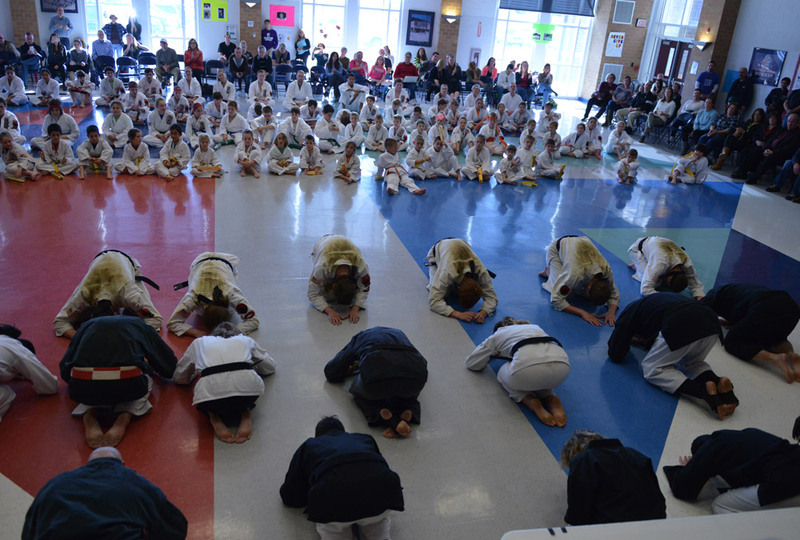 They listen intently before they perform their Kata. 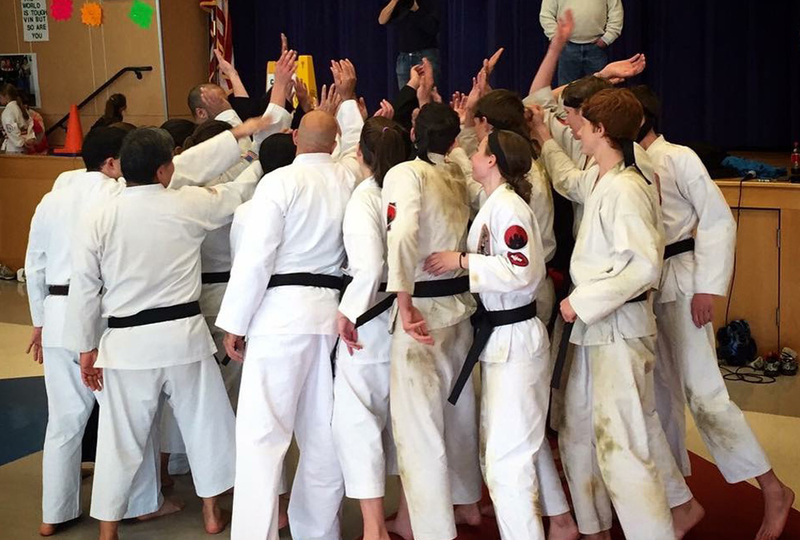 Bi-annual Karate Shiai where students perform and compete in Kata and Kumite. Shiai is held in November and May at Cucinella Elementary School, Long Valley NJ. 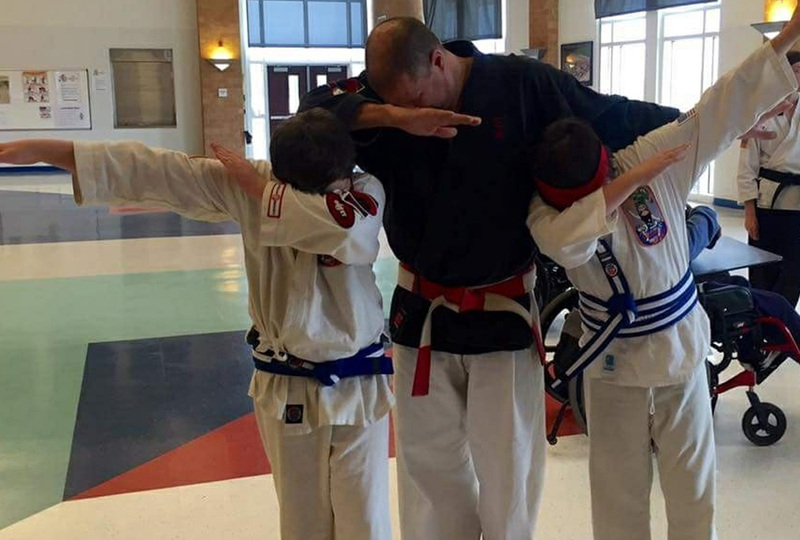 Agree that a 'dab' is warranted after their performance at our Fall Karate Shiai! Cardio Quest is a great way to get in shape. 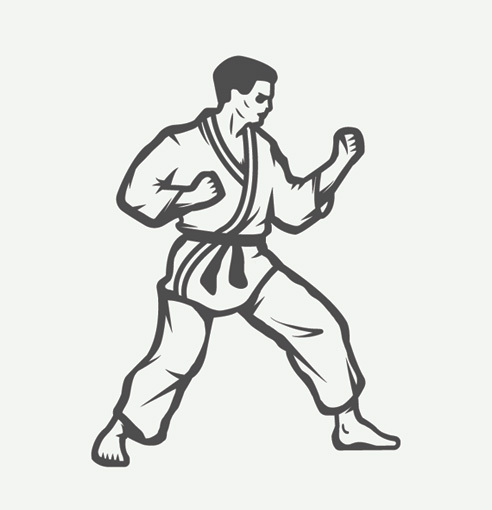 It’s a combination of karate moves and aerobics. This class is offered 4 days a week both in the mornings and at night. The class is 1 hour long. The class consists of 45 minutes of cardiovascular exercise and 15 minutes of toning exercise.